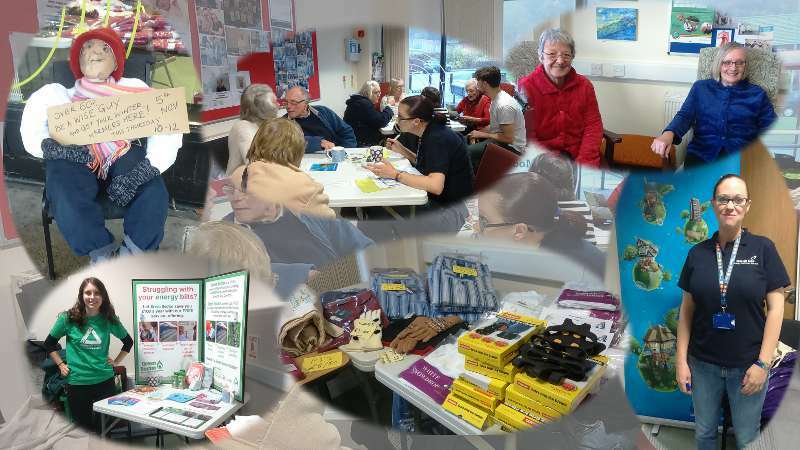 On Thursday 5th November, we had our Winter Warmers Event. This was an opportunity to try on and purchase items from our range of warm nightwear and thermal underwear. We had a variety of items for sale – pyjamas, nightdresses, bed jackets, vests and long johns. Representatives from British Gas, the Green Doctor and Npower were on hand to give out information on how to keep out the cold as well as give advice on fuel saving and using gas and electricity efficiently. There was also an opportunity to sit down for a chat with friends over a cup of tea and coffee with an accompanying slice of delicious parkin. It proved to be a very busy morning and it was lovely to see so many people at MAECare. We still have some clothing items for sale so please contact the MAECare office on (0113) 266 0371 to discuss your requirements.